Spring is here. Boats are in the water and the club is open for dinner starting this Saturday! Doors open at 5:30pm. 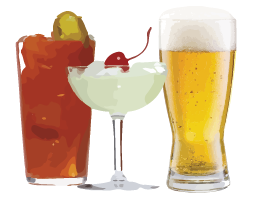 Come in and grab a cold cocktail and a hot meal! Bring the whole family! Guests are welcome. Unless otherwise noted, the club will be open on all Fridays and Saturdays through October! Come out and support the club. 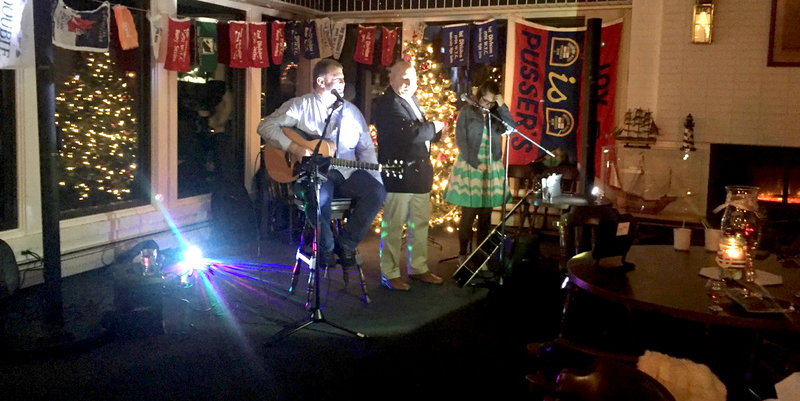 January 5th the winter night was brightened by wonderful performances by Grzegorz Tyszkiewicz and Natalia Kawalec. 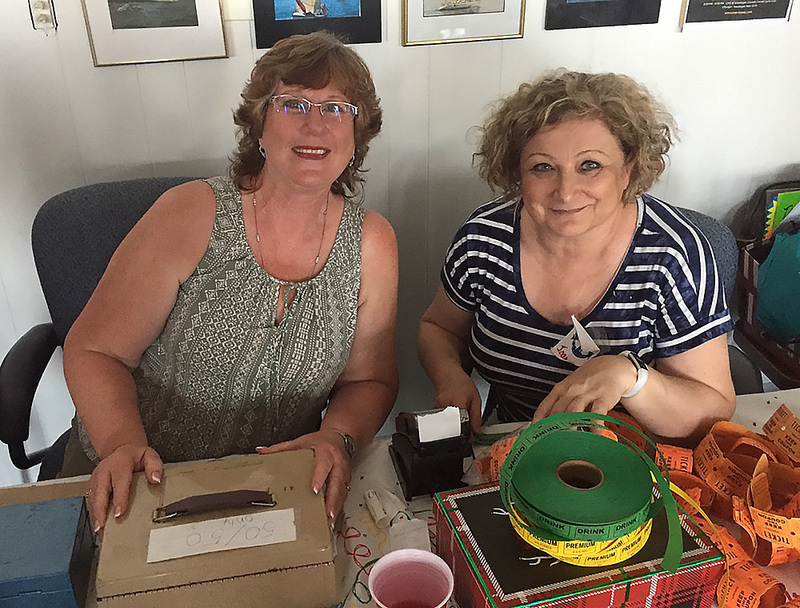 Songs varied from popular tunes to tales from the sea to English and Polish folk tunes. The singers alternated easily between English and Polish in a delightful bilingual concert. Many of the songs were popular standards and the audience joined in to sing the choruses. 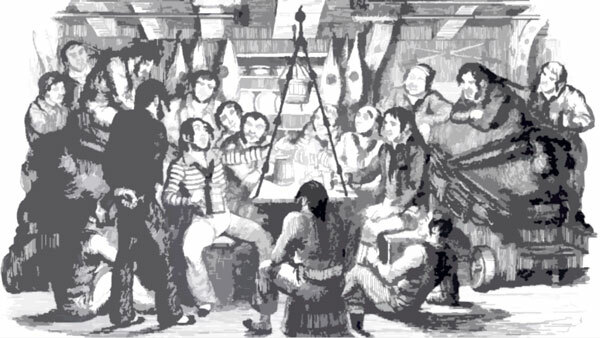 In several songs the singers provided the words to the audience so they could join in. Grzegorz Tyszkiewicz sang for over two hours alternating between English and Polish. Everyone had a wonderful time bringing life to the club with song. Audience members joined in on the choruses of many tunes. Thanks to Zibby Jarzabek, Darek Olszewski and everyone else who helped to plan and execute this wonderful event. We hope to have many more in the future. 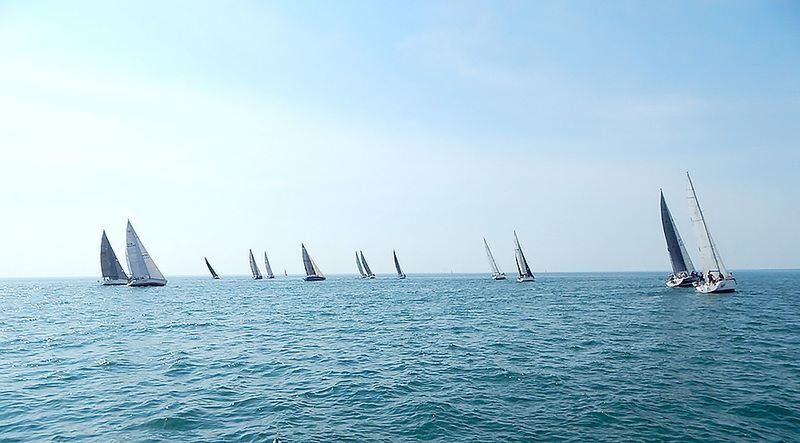 The Last Race, Race drew over 20 boats to participate in our last port-to-port race for 2018. Boats sailed down from Kenosha that morning and Waukegan boats came over to dock at the club for our Le Mans start sequence. The sun came out and the wind died as the racers left the harbor and for the first hour the boats floated just past the breakwater by the red lighthouse. About an hour passed and a line of clouds moved in from the west and brought some light winds that built all morning and into the afternoon. 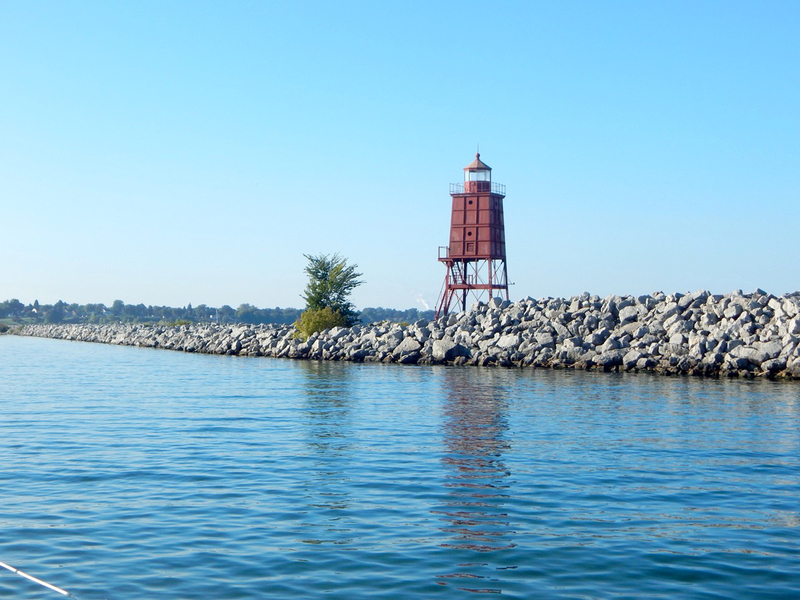 Most boats arrived in Kenosha before 3pm. Leading the way was Madcap Express which took the trophy but everyone had a great time for the last major race of the season. The wind clocked around to the east overnight and built to 15 knots or higher. Four foot waves were pushed in from the east and provided a bumpy ride for the boats that stayed at the Kenosha Yacht Club that night. In the morning, the race back was canceled due to weather, but the concern over high winds and choppy waters was misplaced. The wind and waves fell off all morning until by 1pm the lake was nearly calm and the winds dropped to 5 knots or less. 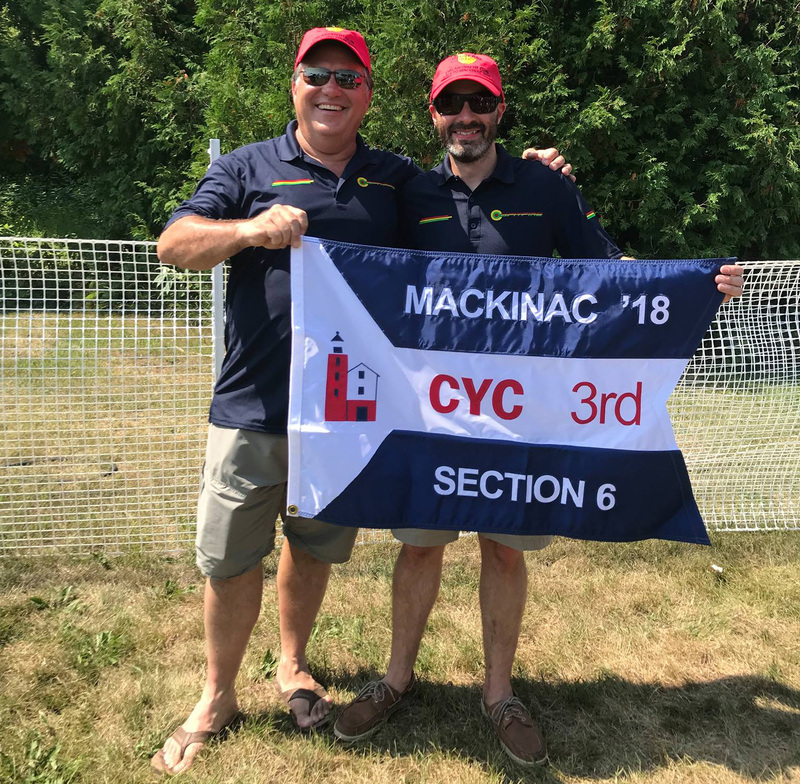 The Fall Series of Waukegan | Joseph Conrad Yacht Club kicked off Saturday, Sept 15 with light winds. Racers worked every gust and lift to make their way north. The first boat finished just after 2pm. The lake was full of boaters coming out of every harbor. 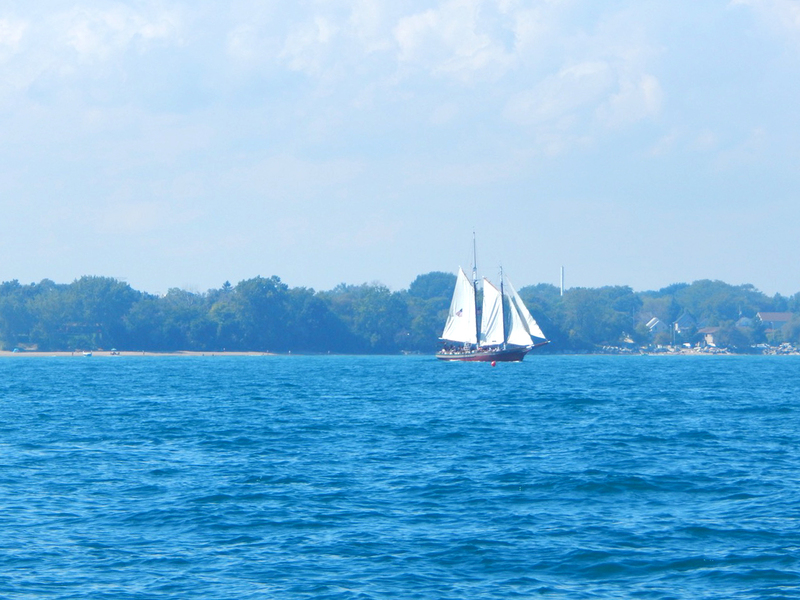 Lanteen-rigged sailboat sails from Kenosha, Wisconsin.Lanteen-rigged sailboat sails from Kenosha, Wisconsin. Congratulations to Kris and his crew for pulling in a 1st Place finish in their section. Congratulations to Sirocco who won 2nd place in Section 3. Congratulations to Spitfire who won 3rd place in Section 6. Spitfire wins 3rd place in their division of the Mac Race. We wish all the racers safe travels as they bring their boats home. This year the race was marred by bad weather and the loss of one crewman from the boat Imedi. We pray for his family and friends. 87th Chicago-Waukegan Race Great Success! 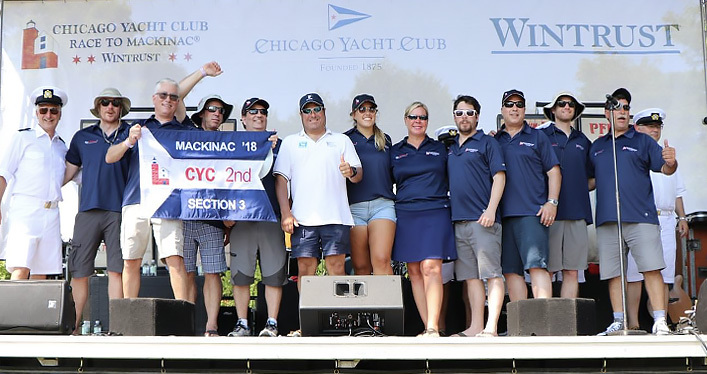 On June 16th the Waukegan | Joseph Conrad Yacht Club hosted the 87th annual Chicago-Waukegan sailboat race. Nearly 130 boats registered for the race and over 100 took part in the race. This year the weather was unpredictable as usual. The wind started briskly coming from the south from 5-7 knots. 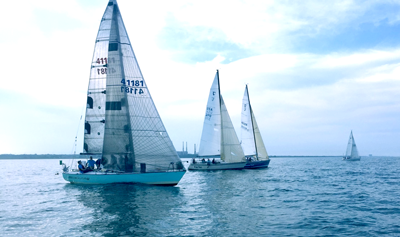 Most boats immediately launched their spinnakers and the various sections started to battle it out for the lead. A little over an hour after the last boat crossed the starting line the wind abruptly swung around to the northeast at over 10 knots. The shift caught many boats unprepared as their crews jumped into action to dose their chutes. Now the race had shifted to a close hauled beat to windward. But, as they say, “if you don’t like the weather in Chicago, wait five minutes.” Less than another hour passed and the wind began to shift around to the east and not long afterward back to the south once more. Chutes came out again and this to stay. At first, the wind was steady and strong, but ebbed over the next few hours. 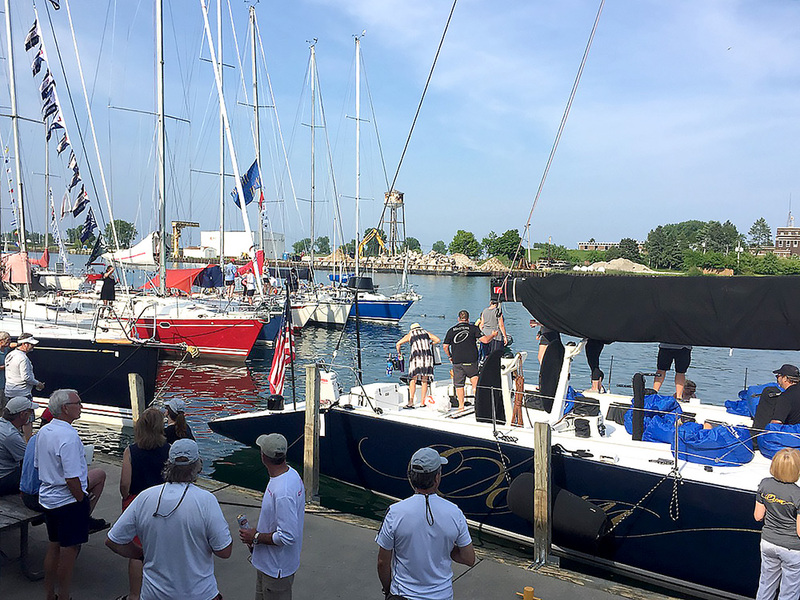 Fortunately, for most of the fleet they were able to stand to Waukegan and the finish line. 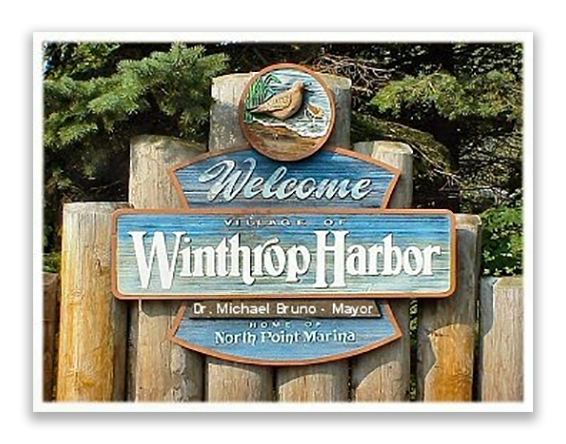 By 2:00pm, the majority of racers had crossed the line and retired to the north harbor where they rafted off the club dock, or to berths they had rented in the south harbor. 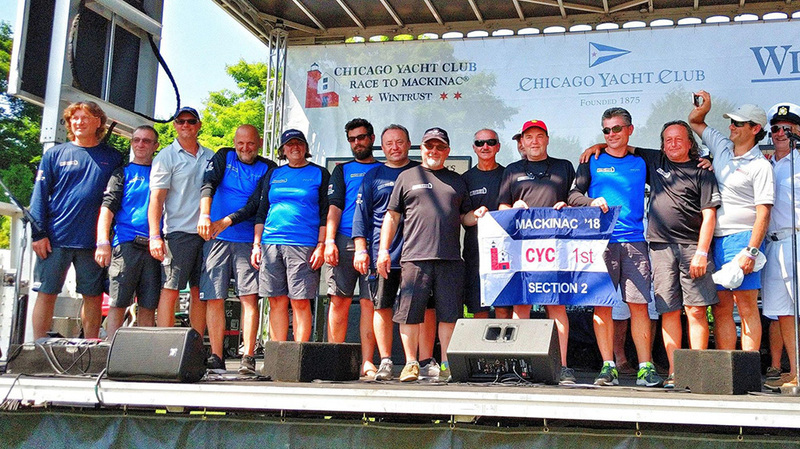 Waukegan racers simply went off to their own berths. 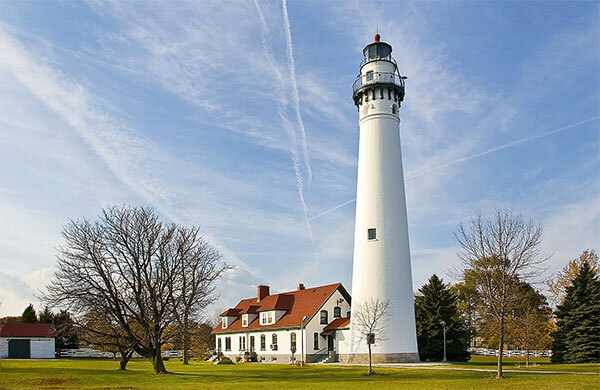 The weather in Waukegan was sunny and warm and perfect for a cookout. Grills were fired up and many racers grabbed a burger, brat or hot dog and a cold brew or rum and coke. 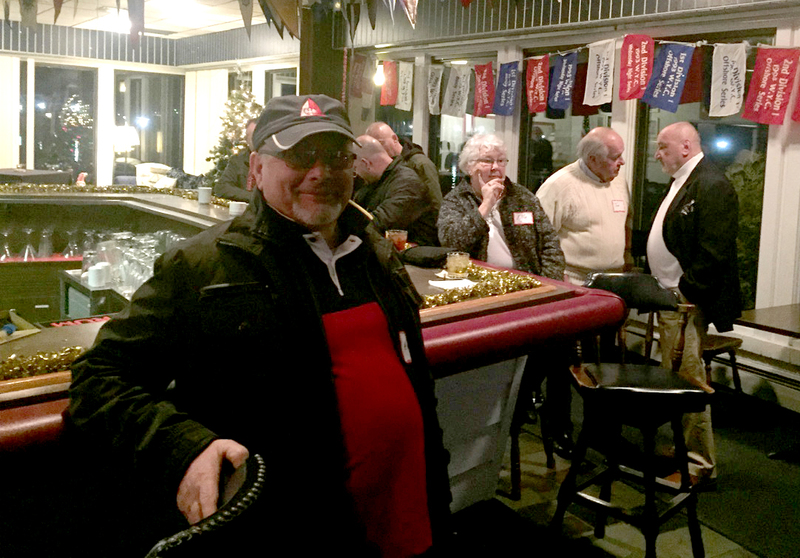 The club and dockside was alive with members, racers and guests. Dinner was an Italian buffet and was served starting at 5:30pm. Food went fast and actually ran out by 8:00pm. 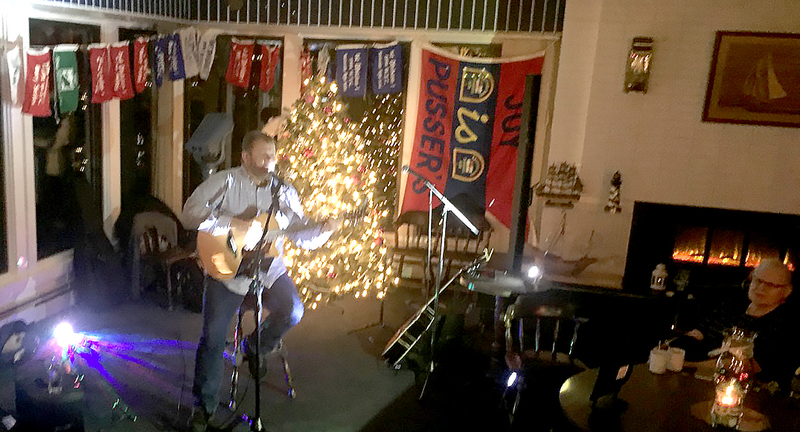 Live music started by 7:30pm and rocked the club for a few hours before the awards were made. The party continued well into the night. 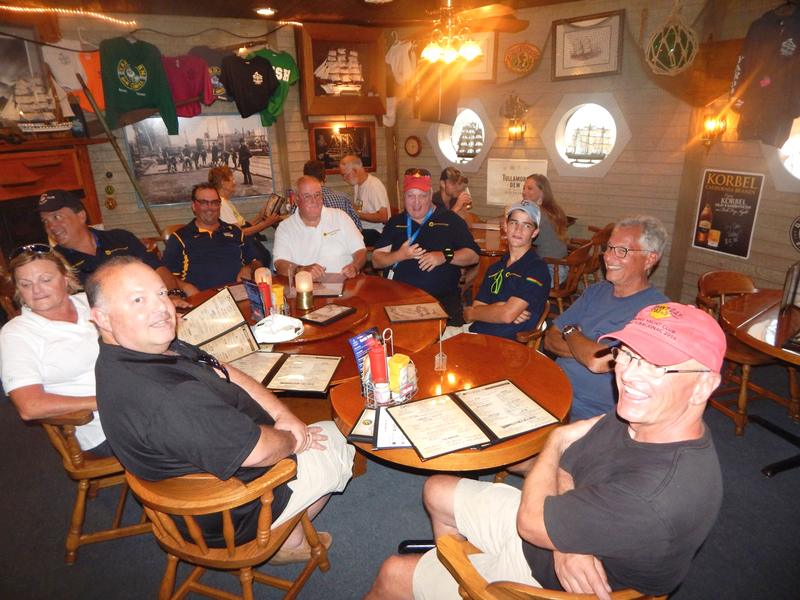 All parts of the club were humming with conversations, laughter and sea stories. 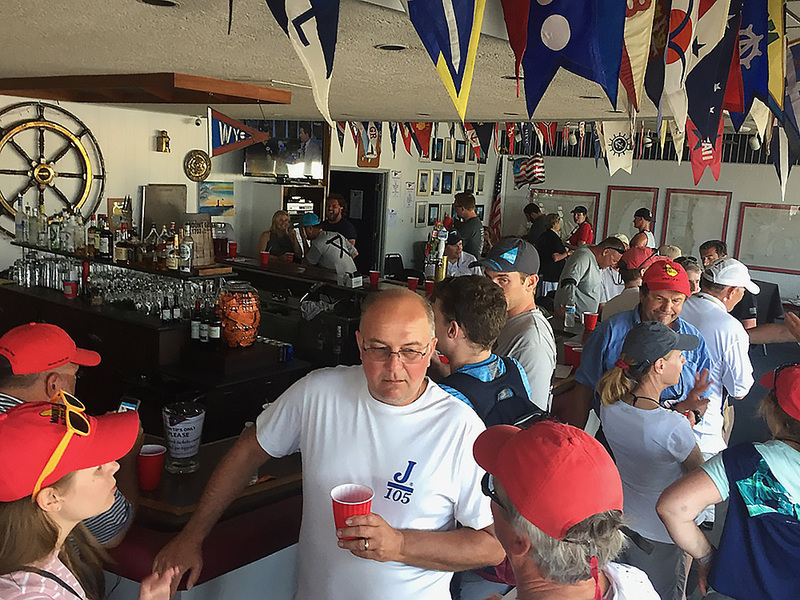 Sunday morning came early and many sailors and guests took advantage of Bo Harper’s Bloody Mary bar! Many took advantage of the hot breakfast provided by the club. By 8:00am, the Committee boat cast off to set up the starting line. The first section started at 9:05 and each following section went off in 5 minute increments. In less than an hour all 9 sections were gone. Claudia Aisenberg, Larry Beliant, Jeff Bernachi, Colin Classen, Richard Fee, Yvonne Fee, Mary Ellen Giffels, Jose Guzman, Bo Harper, Lynne Hellquist, Erik Hellquist, John Johnson, Barbara Klupiec, Chris Klupiec, Mark LeVan, Jim Maivald, Paul McEntee, Aaron Milks, Kim Nerheim, John Rouse, Viktoriya Rouse, Tom Sivia, Nikki Sullivan, and Al (Jeep) Trefts. Let us know if we missed your name.